Mars Hill University will host a discussion and book signing with Dr. Charles W. Deweese, a 1967 MHU alumnus and author of Baptist Mountain Mission Schools, on Tuesday, April 12. The discussion portion of the program will take place at 4:00 pm in Broyhill Chapel, with the book signing and refreshments to follow, at 5:00 pm in Bentley Fellowship Hall. Baptist Mountain Mission Schools, published by Mars Hill University Press earlier this year, deals extensively with the work of Rev. Albert E. Brown, the son of the university's first president, W.A.G. Brown, and the Department of Mountain Mission Schools, established by the Baptist Home Mission Board in 1904. The book traces the history of Mars Hill University, and other institutions which, in the early 1900s, were products of this program and its hardworking superintendent. Those institutions, a few of which still survive as colleges and universities, dramatically affected the life and character of the mountain regions. 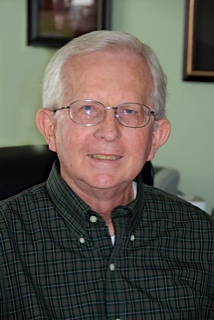 Deweese, who spent his career as a historian, writer, and administrator for the Historical Commission of the Southern Baptist Convention and for the Baptist History and Heritage Society, said he came across information about the Baptist Mission Schools program many times during his research. He was intrigued by the program and by its hardworking administrator, A.E. Brown. He said he began to collect the information with the intent of eventually writing a book. Finally, after his retirement, he decided to take that step. "I have always been intrigued by trying to elevate the man who never sought, and never got, a high level of exposure," Deweese said. "A.E. Brown worked under the radar, and he is a man who has never gotten an adequate amount of exposure in the historical writings. So, one of my goals was to give him an audience that he would never have asked for, but he really deserved to get." In a time of poor communication and horrible transportation conditions, A.E. Brown administered 49 Baptist mission schools over a 20-year period in the Appalachian and the Ozark mountains. That, in itself, is a remarkable feat. The importance of those schools to the region was enormous, Deweese said. "Without those schools, a lot of the people living in the mountains would never have had a formal education of any kind. But because they existed, and because public schools were very scarce at that time, they helped these young people get an education and helped them move out of poverty, which was rampant in the mountains. Later, when public schools came along, many of their teachers had been educated in the Baptist mission schools." In addition to A.E. Brown, the book focuses on Mars Hill University, which was founded in 1856 as a secondary school called French Broad Baptist Institute. Two years later, the institution was renamed Mars Hill, a reference to the Apostle Paul's sermon in Acts 17. 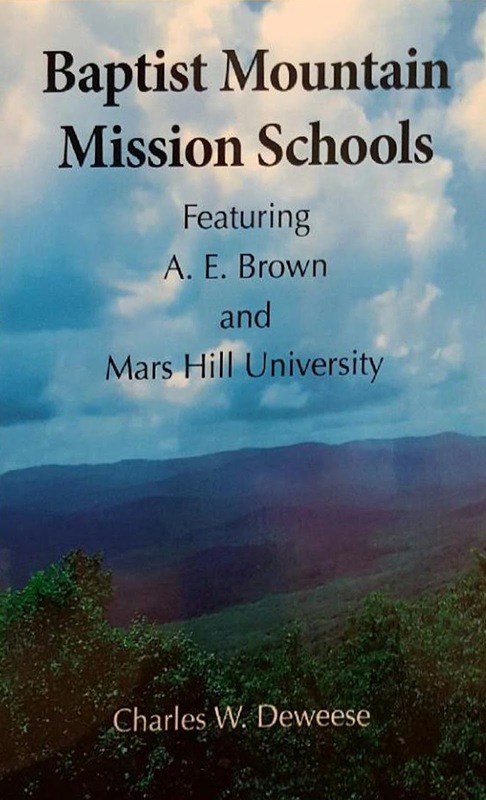 According to Deweese, Brown considered Mars Hill a model institution and perhaps the consummate example of a mountain mission school. The rise of public schools in the 1920s and early 1930s and financial woes (not caused by Brown or his successor J. W. O'Hara), eventually led to the demise of the Baptist mission schools program. However, many of the schools founded by the program continue today as universities. In addition to Mars Hill University, those include North Greenville University (SC), the College of the Cumberlands (KY), and Southwest Baptist University (MO). Deweese said the existence of the Baptist Mission Schools program, challenges a stream of modern thought that sees Baptists as representative of the anti-intellectual tradition in Christianity. "The very fact that so much focus was being given to developing education in the most remote areas was a very positive and healthy contribution of the denomination at that time," Deweese said. Dr. Guy Sayles, visiting professor of religion at Mars Hill University, is helping to plan the book signing event. He, too, said that the book will help to challenge the myth that Baptists as a whole were anti-intellectual and anti-education. "The book makes it clear that Baptists, even at the turn of the 19th century and up through 1930 or so, were investing in education in very remote places," Sayles said. "It’s a reminder to Mars Hill University, and to modern Baptists, that our origins were with people who found in their faith a call to education. They didn't see any conflict between faith and education, and we don't need to see a conflict between our commitment to higher education and the practice of faith either."